Buying a TV isn’t as easy as picking a size and price, and making the purchase. Make sure you’ve made the right choice by following the steps in our guide. Buying a new TV can be a complex task, and if you think it's as easy as choosing an option online and completing the purchase based on size and price, you're doing it wrong. With the rapid growth of e-commerce in India and the ready availability of various TV brands on the internet, it may seem like a piece of cake to buy a new TV. However, whether you're buying online or in a brick-and-mortar store, you do need to make sure you've checked all the boxes before you complete your TV purchase. 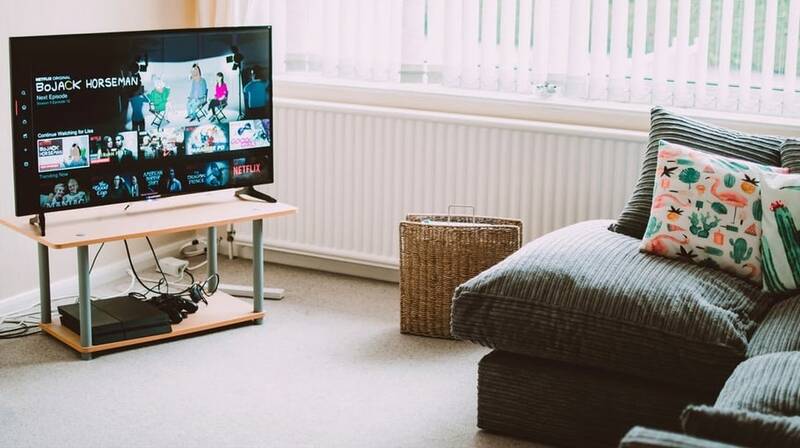 We've put together a list of steps and tips that will help you properly audition and choose a new TV, whether you're buying online or offline. This guide will go into the details on what you need to look out for, what settings you may want to change, and what you need to check on the TV you buy. With prices dropping, and new brands launching as online-exclusives, buying your new TV online may seem like an enticing proposition. Even if you're buying an established brand, you might find prices online to be lower than in a regular retail store. Furthermore, the convenience of getting doorstep delivery of your new TV in a matter of days is, admittedly, an easy way to do it. However, we'd recommend that you follow these steps before buying a TV online. 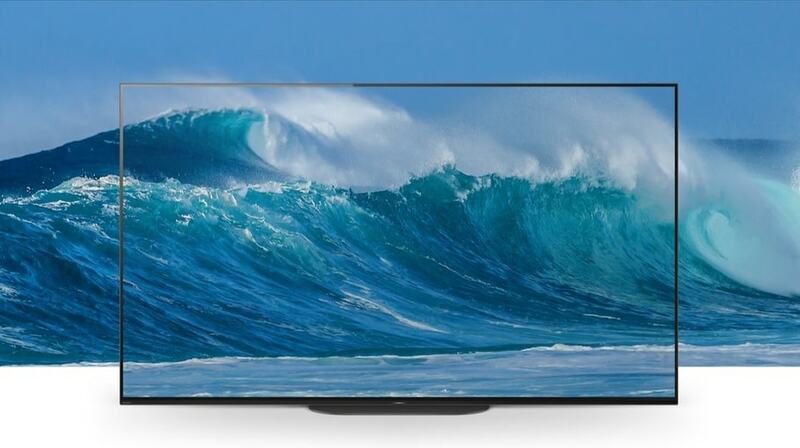 A 55-inch TV at the price of a traditional 32-inch TV may sound like a great deal, as does a 4K TV from an up-and-coming online-first brand that costs the same as a full-HD TV from a traditional TV specialist. However, this could be because of a panel that isn't quite as good as those on more expensive TVs. The panel is the most important component on the TV, and it's important to make sure your panel is the best available for your usage. TV makers today are striving to break the Rs. 1,000-per-inch barrier, and indeed a lot of manufacturers have gotten there as well. But it's important to remember that picture on a TV is everything, and not the size. In many cases, it's better to have a smaller but better TV, rather than a large TV that isn't quite living up to your expectations. Additionally, since a lot of buyers might keep their TVs for up to ten years, you don't want to be stuck with a poor panel for that long. Common issues with TVs that use price as a marketing gimmick include iffy colour calibration, grainy picture, and general lack of reliability. These panels could form spots early into your usage, show odd artefacts on the screen, or fail entirely in rare cases. However, in many cases, these TVs may work well and serve the users for a long time, so we don't want to entirely discourage you from buying a ‘bargain' TV. However, if you largely watch cable TV through a set-top box and aren't looking at much online or high-resolution content, you might not find anything wrong with even what we'd consider a sub-par panel. 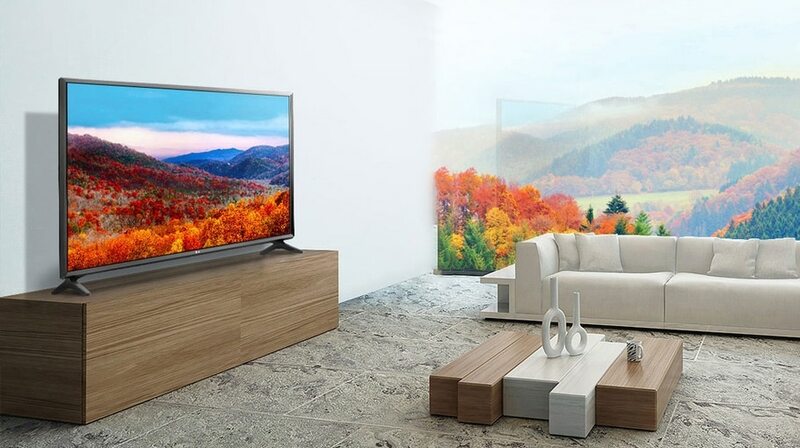 In such cases, you'd likely benefit from the cost advantage of buying a super-affordable TV. Audio quality is another critical factor when buying a TV online, since you could find your TV with acceptable video, but underperforming audio performance. Unless you intend to buy yourself an external audio system such as a soundbar or speaker system for your TV, you will want to ensure that audio output is adequate for your needs. If you do decide to go ahead with an affordable option online, there are some things you can look out for. Apart from the basics such as screen size and resolution, you should also try to take a look at the TV at a store or demo zone, or read user reviews on the e-commerce portal before you complete your purchase. 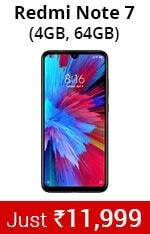 In the case of some brands such as Xiaomi and Vu, this may be as easy and heading to a local dealer or exclusive showroom; there are plenty of these in various parts of the country. You should also make sure that your TV comes with company-provided installation, along with an official warranty. If this is in place, you're assured official and proper wall-mounting or table mounting, which will ensure your TV is safely and securely placed in your viewing room. You should also make sure to check the dimensions of the TV, along with the measurements of the stand, in case you intend to table-mount the TV on a narrow stand. It's also important to confirm the connectivity specifications, such as the number of HDMI and USB ports, an option for ethernet connectivity, and any other ports that you may need depending on your devices. This is the traditional way to buy a TV, ensuring that you're seeing what you buy in action before you put down money. However, this has its limits; a lot of brands that aren't available offline will be unavailable to purchase if you choose this method. However, the benefits of purchasing offline are significant, in that you have a chance to try out the TV you intend to buy at a showroom before you make your decision. Many traditional brands use this method to ensure easy availability of their products, and have vast dealer networks all over the country to ensure that customers have access to their TVs this way. While larger brands may be able to run networks with exclusive stores, multi-brand retailers will offer you better choice in terms of different brands. TV dealerships, particularly large ones, will have an array of TVs lined up and playing various demo videos. While these videos may give you a fair idea of what to expect, they often bump up the colours and brightness to give you the impression of being better. What you may want to do is have the dealer switch off other TVs around so you can focus on the TV you want to buy. The next step is to ask the dealer to play ordinary content, such as that on a set-top box. You can also bring your own content on a USB drive to help you test the TV, provided the TV you wish to buy has USB connectivity. This will help you get an idea of how the TV performs with visuals other than what the dealer has tactfully ensured is playing on the TV. Additionally, have the settings on the TV on default, and then slowly tweak the brightness, contrast and colour options to levels that you believe are correct. The important point here is to ensure you get a TV with proper colour calibration, as many TVs tend to get key colours wrong. Further, you may also want to disable any motion smoothing features on the TV, since this may look attractive at first and work well with very high-resolution content, but will cause significant artefacts and image flaws with most content. Often, the dealer may offer you stock from last year at a discounted price, as compared to the full price that you would pay for current-year products. In the case of TVs, this may not be a bad thing, provided that the features are largely the same. Current year models will feature slightly better image processors, newer technologies, and in the case of smart TVs, newer software as well. In many cases, they will also feature better calibration as well. If you've had a chance to audition the older model and it's largely appealing to you, it might be worth picking up an older model at a discount. However, for peace of mind and the best possible purchase, it's wise to ensure you're buying a current-generation model. Ask your dealer when the model was released to get an idea on this. Often, the TV dealership will recommend a particular TV model or brand, and insist that it's the best option for you. You might be inclined to believe that the dealer has your best interests in mind, or that they have the expertise to make recommendations. Usually, this isn't the case; the dealer may have their own motives or reasons for suggesting a particular TV, including the commission or margin they would receive from a sale. Remember that whatever a dealer is recommending is usually driven by the product that would benefit them the most in terms of income or meeting specific targets. This may apply even to specific products within a brand - for example, a dealer might recommend a larger screen even if it isn't the ideal size for your viewing room. It's important to seek only information and assistance from the dealer, rather than advice.